Flowers Talk is Popping Up All Over Ottawa! Have you seen Flowers Talk bouquets around the city? We are so excited to have ‘Pop Up’ spots in several locations throughout Ottawa. 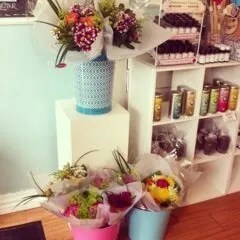 You will find ready made grab and go bouquets perfect for a hostess gift, dinner party or a special surprise for someone. 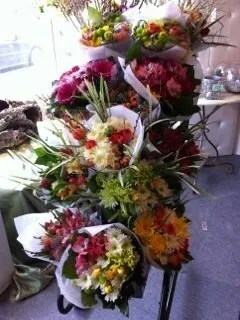 In true Flowers Talk style, the bouquets are made up of interesting, unique and long lasting flowers. The flowers and colours will change with the seasons! So, if you can’t make it down to our flagship location at 1305 Wellington Street, you can find us at The Ottawa Bagel Shop, Thyme & Again, Thimble Cakes, Red Apron and more locations to come!